Excellent service today from Castle king inflatables- will be recommending them to family and friends - very professional. Top quality service and and kids loved the bouncy castle. 100% recommend and fantastic for money. Dance and bounce adult bouncy castle. 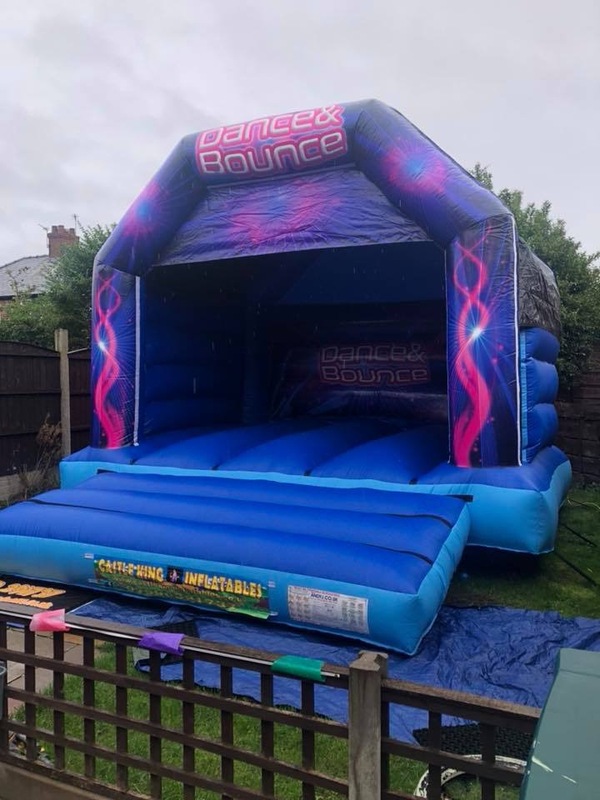 This inflatable is perfect to hire if the adults want to get involved and have a bounce themselves as it comes with a thicker base than a normal average castle, it’s 15ft x 15ft in size. Comes complete with a built in rain cover so can be use whatever the weather.